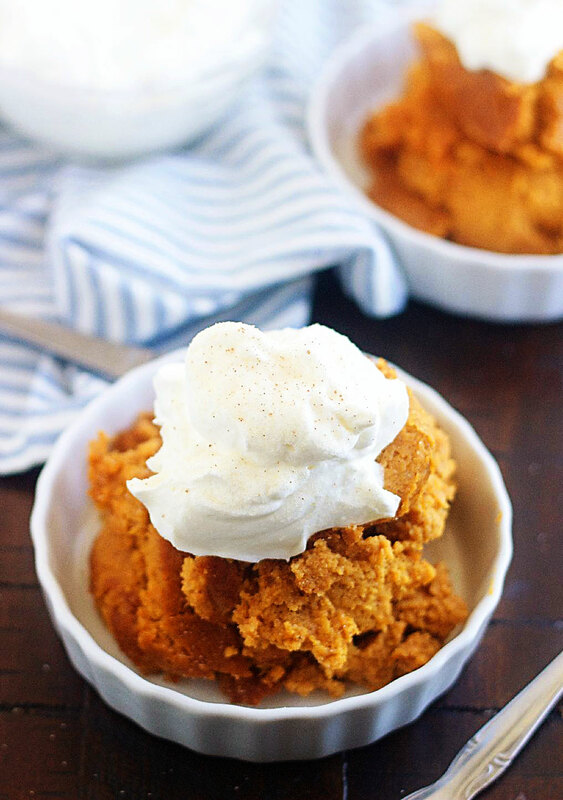 This Slow Cooker Pumpkin Pie Pudding is crazy delicious and so simple to throw together. It’s like eating pumpkin pie minus the crust! Top it off with whipped cream or a scoop of vanilla ice cream and you will be in love. I’m fully taking advantage of “pumpkin season” and making everything and anything pumpkin that I possibly can. 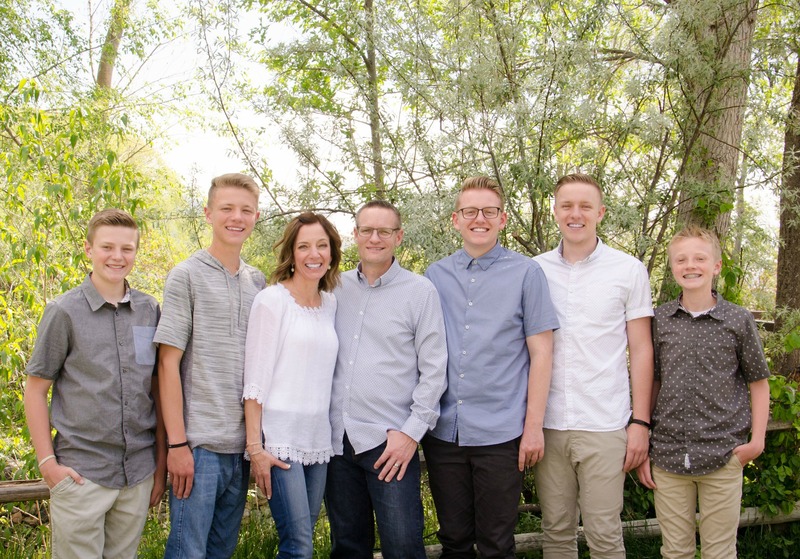 I haven’t heard any complaints from my boys, so I’m guessing they’re ok with it. I know there are some pumpkin pie haters out there, and then there are those of us who absolutely love it. 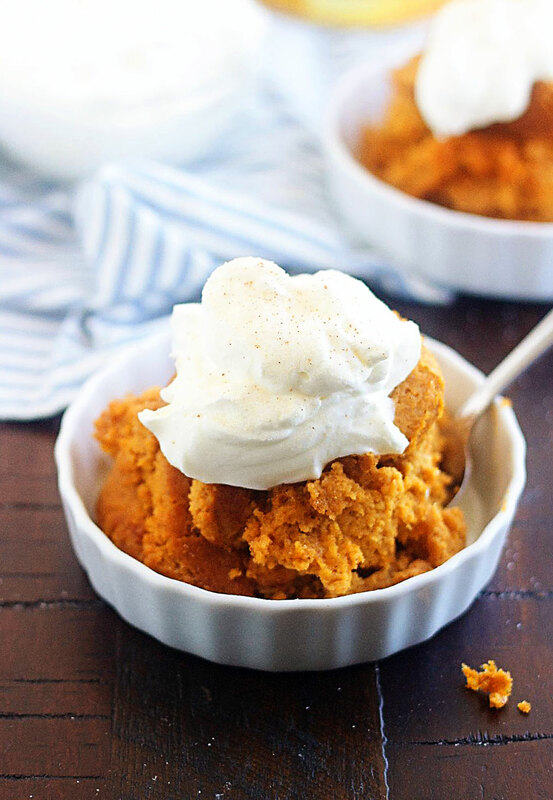 I fall into the “love it” category which is probably why I love this Slow Cooker Pumpkin Pie Pudding so much. The best part about this dessert, is there is no need to make a pie crust. It’s basically pumpkin pie without the crust and it couldn’t be more delicious. So if you love pumpkin pie, but have a phobia or fear of making pie crusts, or if you just don’t love the crust, then this dessert is for you. One of the things I love most about this dessert (besides the fact that it’s pumpkin ) is that it’s not too sicky sweet. It’s the perfect balance of sweet and slightly savory. You could certainly add a few more tablespoons of sugar if you want it to be sweeter, but I love it just how it is. Make sure you top it off with a big heaping of sweetened whipped cream or a scoop of vanilla ice cream. I also love to sprinkle some cinnamon & sugar on top which just makes it even that much better. I shared this recipe over at Life in the Lofthouse, so hop over for the full recipe.